The Hilo Jazz Orchestra has an ambitious new plan: to take their Frank Zappa Tribute shows all the way to Germany. Pursuing an opportunity to participate in the 2019 Zappanale Festival, the Jazz Orchestra has begun a fundraising effort to take the band abroad. And they need YOUR help! Seeking the support of fans and the community at large, the Jazz Orchestra hopes to give the students the unique chance to take the music they have been learning and perfecting for months and years on the road. With the possibility of exposing the band to a wider audience, interacting with living musical legends from Zappa-bands-past, and seeing the beauties of Germany, this unique effort is sure to be an unforgettable experience for all involved. For more than five years, the Jazz Orchestra's annual Frank Zappa tribute concerts have been a community favorite in Hilo. In 2017 the band attracted national attention, when Dweezil Zappa and Ike Willis joined them for a special performance. Occasionally the band has stepped outside its home-base at the UH Hilo Performing Arts Center to bring their renditions of Zappa to other stages across the Big Island. With the band's abilities and popularity steadily increasing, they've set their sights on taking the performance across two oceans to Europe. Because of the many expenses and logistical challenges involved in taking the band from Hawai'i to Germany, the Orchestra is seeking any and all contributions. Every penny will be deeply appreciated and go directly towards travel expenses, accommodations, snacks, equipment costs, and other expenses involved in getting the band safely to and from the festival. Check out this short video introduction to the Hilo Jazz Orchestra. 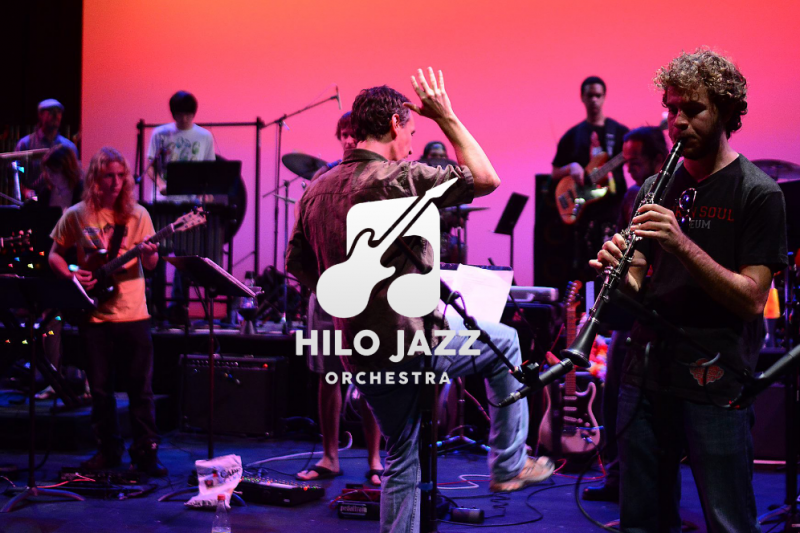 Working with a changing cast of student musicians, the Hilo Jazz Orchestra creates original arrangements of popular songs. 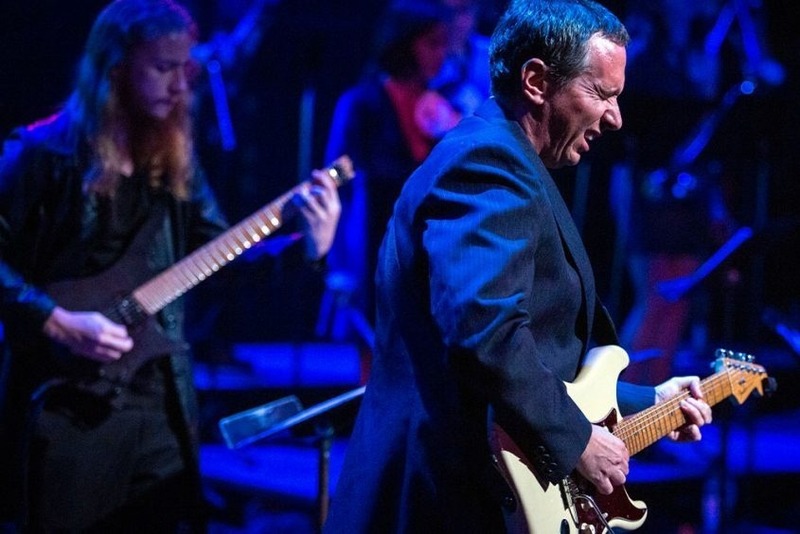 Aside from their work with Frank Zappa tributes, the band has tackled themes like funk, swing, and even performed original material composed by director Trever Vellieux from his album Professor T and the East Side Shredders. In 2016, music historian and documentary filmmaker Steven Roby joined the band over its 12-week rehearsal process. Filming the rehearsals as well as the bands two nights of performance, the footage was compiled into the full-length documentary Zappa U. View the trailer for Zappa U below, or watch the full documentary on the official Hilo Jazz Orchestra website. Each year, Frank Zappa fanatics from across the globe converge on the little town of Bad Doberan, Germany, for two days of all things Zappa. The Zappanale Festival features a variety of Zappa cover-bands sharing the stage to bring the late composer's works to life. The festival often highlights appearances and performances from alumni of Frank Zappa's touring and studio bands, such as Terry Bozzio, Ike Willis, Napoleon Murphy Brock, and Adrian Belew, as well as having featured Dweezil Zappa and his band in 2017. A frequent theme in Frank Zappa's work, references to Germany and the occasional use of the German language appear repeatedly throughout his lyrics and song titles. Songs like Holiday in Berlin, German Lunch, the operatic epic Sofa No. 2, and the uncompromising Stick It Out, all demonstrate Frank's enduring interest in Deutschland. But his apparent fondness for the Germans has not always been reciprocated. The origins of Zappanale date back to 1990. In the beginning, Zappanale was not only a celebration of Frank Zappa and his music, but also of a new-found liberation. Following the fall of the Berlin Wall in 1989, East Germans who spent years under Soviet oppression were finally free to publicly listen to and discuss Zappa's works. Prior to Germany's reunification, simply being interested in Zappa could be enough to warrant an unwanted visit from the Stasi, East Germany's secret police, as Arf-society and Zappanale founder Wolfhard Kutz experienced firsthand. These days Germany is free to enjoy all the Zappa they like, but few have embraced his legacy as intensely as the people of Bad Doberan. In 2002, the organizers of Zappanale successfully raised enough funds to commission a bronze bust of Frank Zappa. After completion, the bust was placed on display in the town's center, where it remains to this day. We deeply appreciate all support and would love to hear from you. Feel free to reach out through the comments here at GoFundMe, or head over to hilojazz.com to get in contact with us directly. Thanks so much for your time and for checking out the Hilo Jazz Orchestra! Just want to send out a huge thank you to everyone who has contributed to this campaign. Thanks to your help and other fundraising efforts, we are making steady progress towards getting the band to Germany. Although so far we haven't utilized the GoFundMe page very much, moving forward we will be posting updates and information. We will be offering some new ways to help support the band's efforts in the coming weeks. Including some performances around the Big Island that you won't want to miss. Additionally, we will be looking into sending out some of the promised rewards to donors shortly. Thank you for your patience. Once again, a huge mahalo from everyone in the band to all of our donors for your continued support! Hello! Thanks so much to our first donors and everyone who has been sharing the campaign across social media to help get the word out. Our first day has been a great success at getting the ball rolling! Today we officially launched the Hilo Jazz Orchestra Shop, another means of directly supporting our fundraising effort. You can see what kind of stuff we have available and get a look at the shirts and mugs being offered as thank you gifts in this crowdfunding effort. Thanks for your support and stay tuned for more! Free digital download of a track from "Professor T and the East Side Shredders!" Signed physical copy of "Professor T and the East Side Shredders" CD! 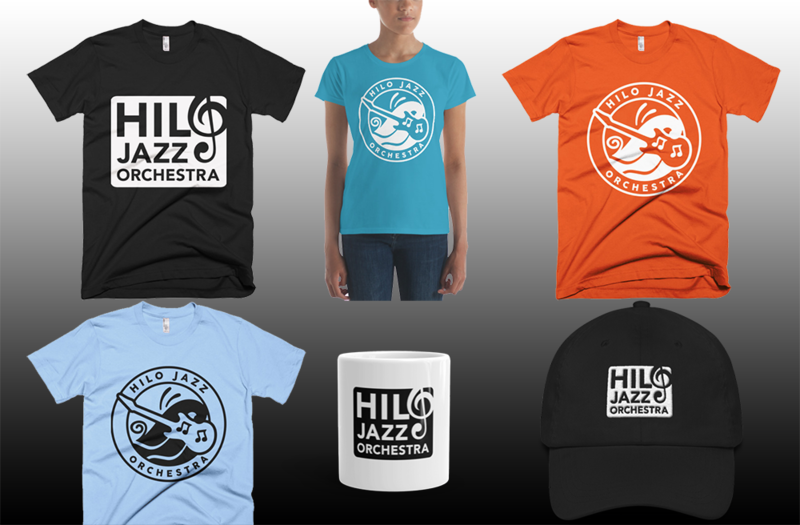 Your choice of Hilo Jazz Orchestra shirt or beverage mug, plus a signed copy of "Professor T and the East Side Shredders" CD!